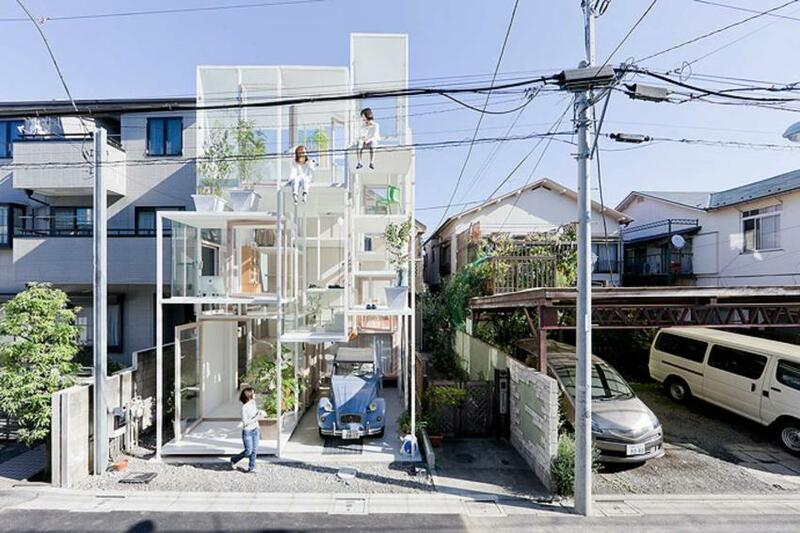 This Tokyo house NA by Japanese architect Sou Fujimoto has hardly any walls and looks like scaffolding (photos by Iwan Baan). 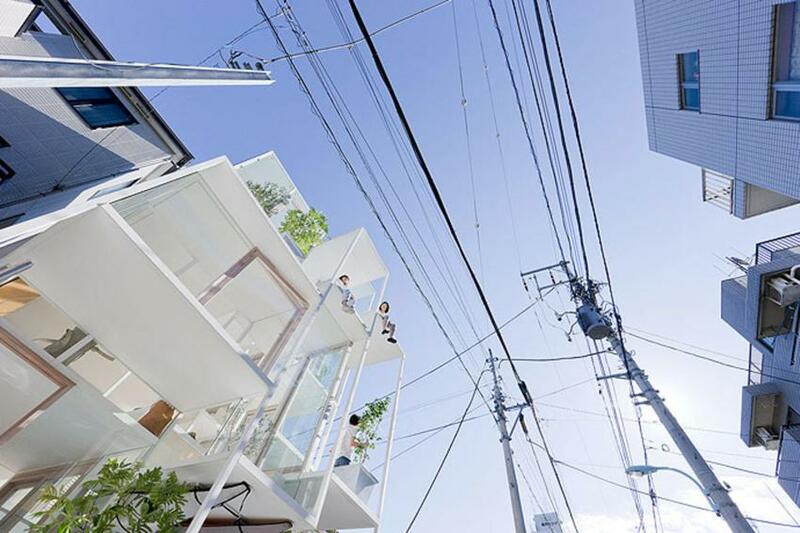 The white steel-frame structure itself shares no resemblance to a tree. Yet the life lived and the moments experienced in this space is a contemporary adaptation of the richness once experienced by the ancient predecessors from the time when they inhabited trees. 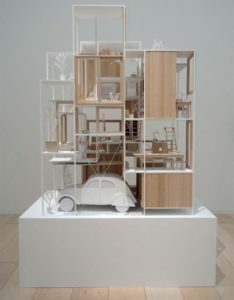 Such is an existence between city, architecture, furniture and the body, and is equally between nature and artificiality. 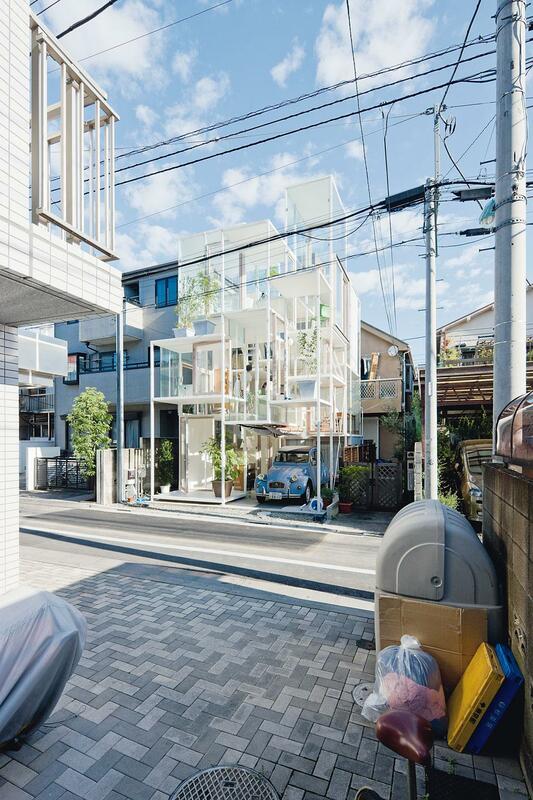 Designed for a young couple in a quiet Tokyo neighborhood, the 914 square-foot transparent house contrasts the typical concrete block walls seen in most of Japan’s dense residential areas. 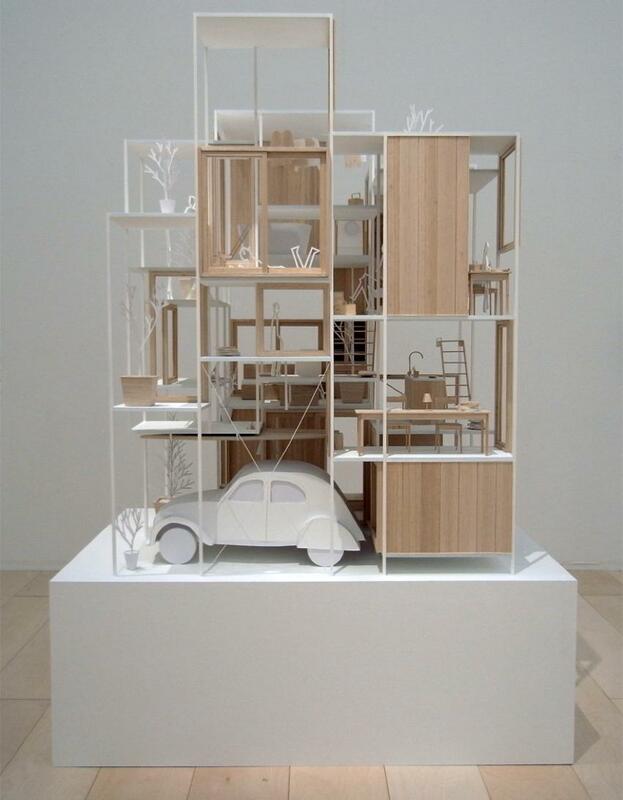 Associated with the concept of living within a tree, the spacious interior is comprised of 21 individual floor plates, all situated at various heights, that satisfy the clients desire to live as nomads within their own home. 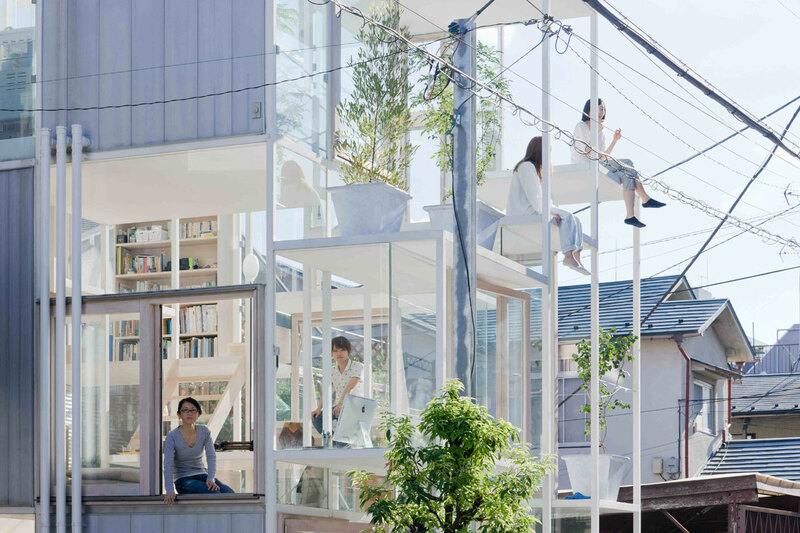 Described as “a unity of separation and coherence”, the house acts as both a single room and a collection of rooms. The loosely defined program and the individual floor plates create a setting for a range of activities that can take place at different scales. 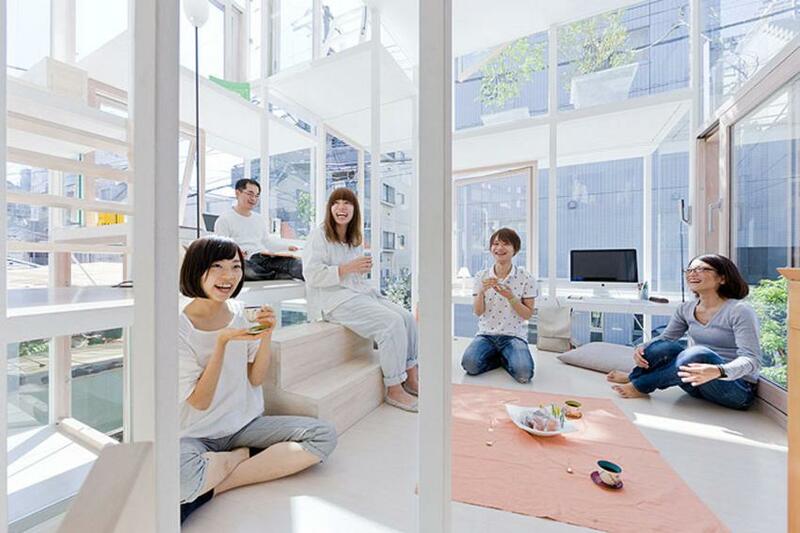 The house provides spaces of intimacy if two individuals choose to be close, while also accommodating for a group of guests by distributing people across the house. 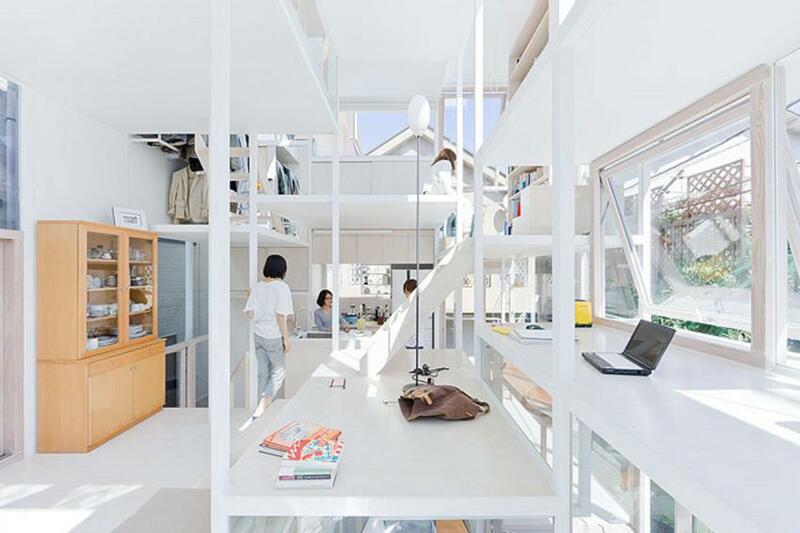 Ranging in size from 21 to 81 square-feet, each floor plate is linked by a variety of stairs and ladders, including short runs of fixed and movable steps. Stratifying floor plates in a furniture-like scale allows the structure to serve many types of functions, such as providing for circulation, seating and workings spaces. The short-spans allow for the thinness of the white steel frame. 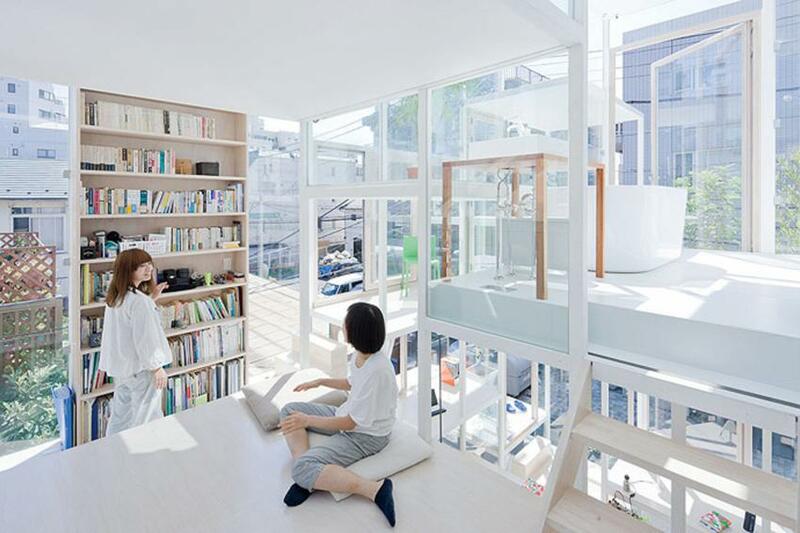 Complemented by the thin white-tinted birch flooring, many wonder where the utilities are hidden. Some floor plates are equipped with in-floor heating to help during the winter months, while strategically placed fenestration maximizes air flow and provides the only source of ventilation and cooling during summer. The HVAC and plumbing equipment, as well as storage and lateral bracing are located in the thick, north-facing wall at the rear of the house. Additional lateral bracing is provided by a full-height bookshelf and lightweight concrete panels integrated within the side elevations. Additionally, curtains were installed to provide temporary partitions that address the concern for privacy and separation. Hello! I have been here in a last year! beautiful building!